Sep 1st 1999 Digiglobe 1999 Award for digital achievements With George Lucas in one show - wow ! Nov 5th1999 Space Youth Event at the Sparkasse Wuppertal Very well organised by the Sparkasse crew. 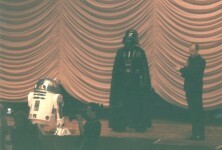 Apr 13-15 2001 Jedi-Con 2001 in Cologne R2 disturb..., eh, assisted Don Bies during his guest panels and had a "dialogue" performance with the Jedi speaker during the Synfonic concert. 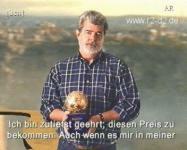 May 17, 2005 German Premiere in Berlin With George Lucas click for pictures here. 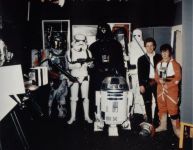 The Journal Of The Whills was the club magazine of the (at that time) unofficial European Star Wars Fan Club ESWFC, which later mutated to the Offical OSWFC. 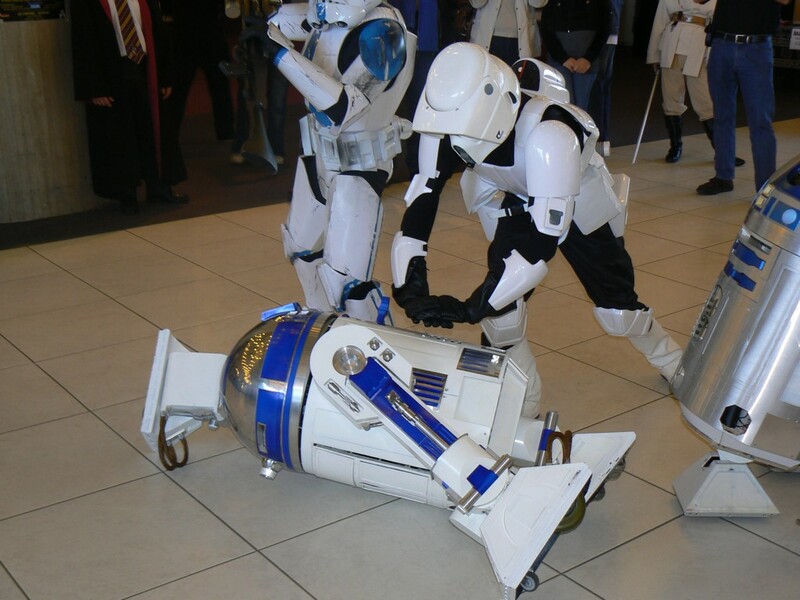 Issue 42 featured an article about my early Artoo-Deetoo, who was not very sophisticated at that time. The THJ was in my opinion Germany´s best (and for a long time only) Toy collector magazine. 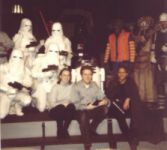 Since the interest group is about the same, the THJ often also publishes articles about modeling, props or costumes. 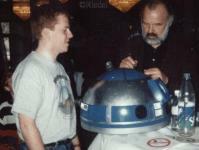 So I wrote an article in this magazine about the building of my R2 and about the countdown to the Jedi-Con 97. It mostly deals with all the mishaps that happen to you when you tackle a project like this, and especially when you have a deadline. 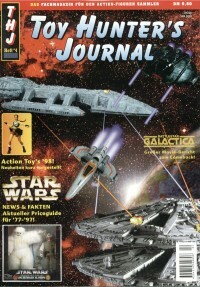 This issue featured a "Battlestar Galactica" special, and I did build the re-released kit of the Galactica, although with some refinements in the form of an interior lighting with glasfiber optics. Together with all weathering tricks I had it made a fine model that even made it onto the cover. 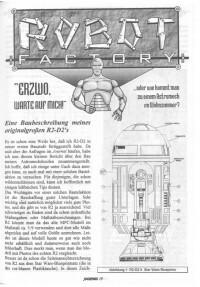 Later, Revell Germany used pictures of my model for an advert. This is a report I´m rather proud of. It was at that time (and I think it still is) the first and only article in the US fanclub´s Insider from a German contributor. It is about my two trips to the actual location in Norway, where the exteriors for the ice planet Hoth were filmed. There´s nothing left from the shooting more than 20 years ago, of course, but you readily recognise the mountains and the ridgelines that were seen in the movie.